To start with it does not even mention René Zandbergen’s work on his website . Any article on the Voynich must surely refer to René’s extensive body of research, so if an article doesn’t mention it I get suspicious! Still, interesting to see that the facsimile is in progress…..
I’m not a researcher, but I do like to keep tabs on what the latest is with the VM. As for the 8000 Eur facsimile, you can save a bit with the new (2016) Yale edition. That’s less than $30. Of course, you posted this last August, but someone else might be interested. I was wondering if you are familiar with a YouTuber named Volder Z. He has two videos, “How to solve the Voynich Manuscript” (parts 1/2). If not, I highly recommend you watch them. He builds on your work, and credits you, and makes a fascinating/logical presentation. Yes, thanks. These videos were made – as I understand – by Derek Vogt, who has discussed his interesting work here. I have a question I am fairly new to this and studying the manuscript but when I was studying the section with the sun and moon the word I think this is how you spell it is EVA Khy but I was looking more at the fact of it being Khn or Khm and the fact that the Romani word for sun is Kham. What do you guys think? Do you think Khm or Khn could be the word for sun? Don’t confuse the EVA transcription with the actual sound of the word. The EVA transcription scheme is just a useful way of representing and discussing the Voynich symbols – we are still unsure of teh actual sounds of the mysterious script. Which word do you mean exactly? Can you attach an image? Here is one example. Again I would like to apologize for how novice I am at this I started really only yesterday looking into this. Here is another time that khn shows up. In EVA, that’s “kchy”. The first C-like shape and the second one are treated as two separate parts, in order to deal with the gallows ligatures which seem to have this symbol intersecting with another by putting the original plain gallows symbol between the two parts. For example, an EVA-ch and an EVA-t combined form EVA-cth. The fact that its EVA name, “ch”, includes an “h” and it’s been interpreted as representing the sound /h/ is a coincidence. In the phonetic system you’re apparently thinking of, EVA-ch would have represented ^h^ and EVA-y would have represented ^n,m^, so the whole thing you’re looking at, EVA-kchy, would have the sounds ^khn^ or ^khm^. As you said, that sound sequence does look like the Romany word you’ve given us with an unwritten vowel, and the context seems to fit, but (and this is coming from the person whose theory you seem to be corroborating) I don’t trust it buried in a longer word with other stuff before and after it. Once we have a particular theory in mind (such as this phonetic system and its Romany connection), it gets too easy to fit subsequent observations into it even when they’re coincidental or would even better fit some other theory. Alright thanks for the response I will continue searching! Along the lines of Tom’s proposal, EVA:oky could be a possible match for the Romany “o kham”. It occurs in the Moon and Sun roundels at the bottom of f68r1 / r2. Of course, it is not obvious why it should occur in an illustration of the Moon (but, as we have discussed many times, the roundels could mark the position of one of the solar equinoxes). There are other sites too. I tend to refer to Nick Pelling’s book and blogposts. Some readers have been kind enough to say they rely a fair bit on my research. Nick’s and mine are of course original bodies of research, not any effort to give an objective account of the past century’s research – which is the informing principle behind Rene’s website, as I understand it and its strength. It’s an effort to present a kind of encyclopaedia-and-guide to the work which has been done by those researchers whose opinions Rene believes are worth reading and adopting. It is certainly useful to many, many people. as far as I understand your post: you are just denying René’s work to be a serious and solid research of his own, and you call it dismissively “encyclopedic” while referring to your own work as “original body of research”. I have never heard of your body of research, but René was already known to me before I even started my own studies. “Encyclopaedic’ is usually taken as a compliment. Like ‘comprehensive’ but more so. People speak of a person having an encyclopaedic memory and so on. And I’d heard of Newbold before I heard of Zandbergen. I do not think that the order you happen to hear names is any indication of the value of their contribution to this study. Rene’s original research, I admit, I’ve never seen. Like many others I publish only the results of my personal research. I couldn’t possibly duplicate the amazing amount of information which Rene has – I’d have to build on a second wing just to accomodate the photocopies! It’s great to have a natural archivist who has been collecting data for 20 years and more. I constantly hope he will flesh out all the “blank areas” in his account of Voynich studies and then publish an encyclopaedia. We certainly need one. Trying to discover who first said what, and where it can be read – so that balanced opinions about positive and negative arguments become possible – is almost impossible as things are. Let’s hope it becomes a project, shall we? Being a average non intellectual educated person I always suspected it was a book used as a key to decipher messages using a double message system, if caught you showed your capturer a false contained meaning or that you was studying a rare herbal book. But a second cipher key gave the true message. But if I go with your herbal book theory then I ask is the herbal uses unique or shares herbal knowledge from other languages and cultures. Is it the manuscripts writers own herbal system or a translation in to the writers language of other another langues, cultures, herbal uses. If not unique knowledge and plants, then more than name use is shared, remedy, time of use and how to use would be shared?. Would be keys to understanding.? Where did the pages get made and process of making? How was the ink made and from what, all may illuminate it’s origin, even what writing tools used and colour dyes. How and with what were the plants drawn and coloured. Pen, pencil, charcoal, brush, Quill or crayons? All have a voice to be heard I would suggest. Is it a monks book or shaman’s healer knowledge? 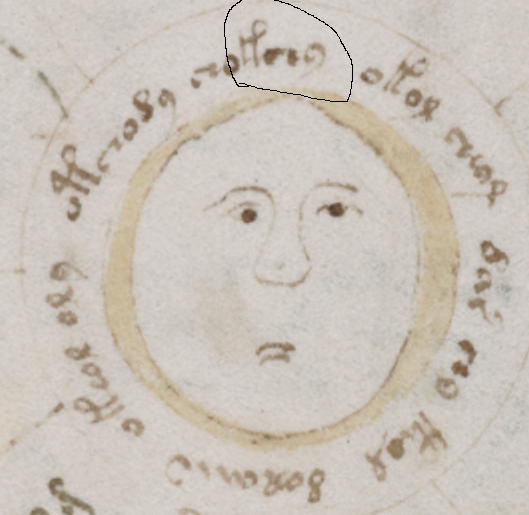 For me as one of these newcomers in the Voynich world, René’s impressive website is the only place to go when looking for facts and not for speculations. Since there is no such thing as a “Voynich Institute” at a university wherever, and since there is no academic discipline in Voynich studies as well, it is almost impossible to get a serious overview elsewhere. So René’s work remains the most comprehensive to me. Btw: I don’t see any commonly accepted theory so far. Is there one and did I miss it? My own (mostly paleographic) approach to the Codex is so completely different from others that I basically don’t even need to know who was writing what in the past. But it is very funny to follow up the vanity fair from time to time. anyone may decide for him/herself whether they find my web site of interest or not. At least, it is safe to go and read there, and one does not run into the risk of finding oneself the subject of nonsensical accusations, either personally, or as a member of the Voynich community. (Fortunately, this is true for most web sites and blogs). Bringing it up to date is an enormous amount of work, which is never finished. My apologies, Stephen, I did not wish to imply that Rene has contributed nothing of value. He has surely advanced the knowledge of the physical manuscript’s history a lot in the past, and I am surely thankful for Baresch’ Egypt letter, above all else. It is about the finest precedence one can hope for, the opinion of the manuscript’s first known owner. However, others have meant just as much for other areas. Pelling for cryptology and analysis of various theories. Granted, he’s not been on tv, but he wrote a book. Diane for analysis of the imagery. Many of her early assessments have now become commonly accepted, and I firmly believe that without her expertise and years of dedication, we would still be in the stone age in our understanding of the imagery. You, yourself probably consider your overall contribution smaller, but it still has had the effect of increasing the knowledge about the manuscript and changing the general approach to the script for the better (in my opinion). People speak about pre-Bax and post-Bax. apart from a pre-Bax era, there is also an earlier pre-Diane era, and before that a pre-Nick era, a pre-Rene era and even a pre-internet era. Speaking as an old hand (in some disciplines: dinosaur) one sees new people coming (in some disciplines: newbees) and they tend to know less and less about these earlier eras. Nick has most certainly been on TV. We were in the same programme, and he featured at least five times as much as Gabriel and I did. Timelinewise, this was in the pre-Diane era. Ha, I forgot that Nick was on TV too! And well… I just see a contradiction in expecting on the one hand that newcomers learn everything about the “Rene-era”, while on the other hand promoting a collaborative approach to new Voynich research without a solid apparatus of references. So it’s okay for people to build their research upon ideas of which they don’t even know where they originally came from and what was the original reasoning behind them, as long as they know the extent of Rene’s contributions. His contribution to the EVA transcription project. Many bloggers are only interested in Voynich images, but others are involved in the more ambitious goal of analyzing the manuscript as a whole, with the ultimate goal of being able to read it. 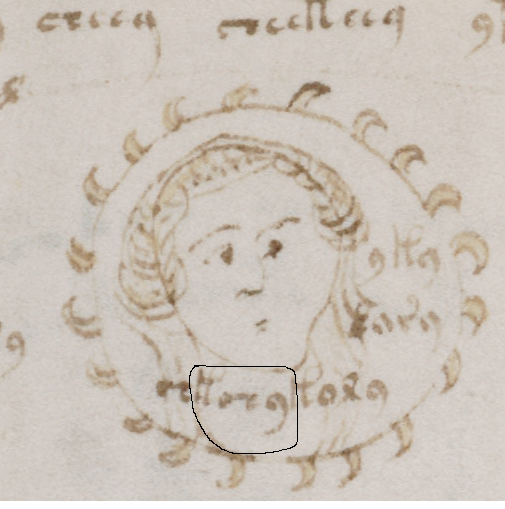 EVA has given us the possibility to easily search the manuscript and talk about its language. This transcription is also at the basis of the amazing http://www.voynichese.com tool developed by Job. Researching and publishing ancient sources. For instance, Barschius’ and Kircher’s letters. Even to those who have little interest in history, it should be fun to know that the idea of an Egyptian origin dates so far back! 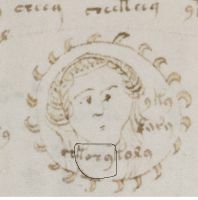 Making the opinion of experts available through his site http://www.voynich.nu. For instance, he provides some remarks by Richard Salomon and Erwin Panofsky. These opinions are often quoted, but few seem to know who made them available to everyone. Keeping the world of Voynich amateurs in touch with the academic world. The 2014 Folger Institute panel with Bill Sherman is an example or the importance of Rene’s work. Stephen’s 2014 paper makes clear that Rene’s research greatly contributed to involve in Voynich research an academic linguist. Rene’s extensive review of Alain Touwaide’s recent paper is another example of his efforts to make the opinion of academic experts known to amateurs. Finally, Rene’ patience with the insults and nonsense so frequent on the Internet is exemplar (in this, as in all other areas, I wish I could learn more from him). I agree with Marco about René’s many contributions. It is not so much just that he ‘has worked hard on the manuscript for many years’. Others have worked hard on it too, but what is different about René is his approach and manner. While many others adopt an amateurish, divisive and territorial attitude, attacking opponents aggressively, I personally value René’s approach because he is so scholarly, meticulous and polite, even when he is attacked unfairly. In my view there is no-one who has done so much to advance Voynich scholarship in the area of the manuscript’s provenance and characteristics. That is why for me any article which does not mention his work, or acknowledge his comprehensive site and his findings, seems seriously under-researched! That is not to say that he (or anyone else) is always right!